Blizzard CEO Mike Morhaime has stated he “would love to see Warcraft IV at some point”. Independently of that, he also said he thinks no one has really cracked mobile gaming, which represents “a huge opportunity”. StarCraft II made our list of the best PC strategy games ever. 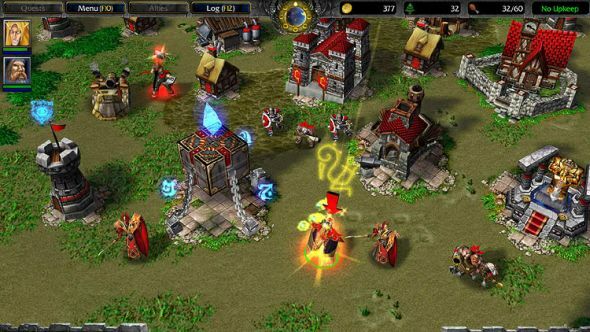 Would Warcraft IV replace it as Blizzard’s premier RTS? With last year’s release of the final StarCraft II expansion, Legacy of the Void, it feels appropriate to wonder about the future of Blizzard’s real-time strategy properties. Before the runaway success of StarCraft, it was the fantasy RTS series Warcraft that made Blizzard’s name, and interest in a possible revival of that franchise is clearly piquiing. As for what that evolution of StarCraft II will look like, the big news coming out of BlizzCon this year is that it will be used to advance artificial intelligence. I think it’s fair to say no one saw that coming, but its long-term value for StarCraft II players is unclear. With Overwatch having launched just six months ago, and ambitious plans for an eSports league taking shape around it, it’s understandable if Blizzard are hesitant to revive old properties like Warcraft in established genres like RTS. Morhaime was much more upbeat when asked about mobile gaming, however. Currently, Blizzard’s only presence on mobile devices is with Hearthstone. It works well, but it wasn’t designed primarily with mobile in mind. In fact, according to Morhaime, no one really understands how to do that yet. It may be some way off with everything Blizzard have on their plate, but perhaps their next IP launch will be a radical new mobile game. Would you like that? Leave your thoughts in the comments. Digital subscribers to Game Informer can read the interview in full at their site.